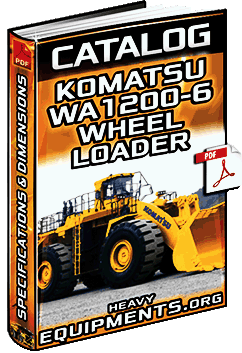 Instructional Video: Komatsu WA500-7 Tier 4 Interim Wheel Loader - Features, Components, Compartments & Details. Instructional Video: Komatsu WA600-8 Wheel Loader - Pre Operation Inspection - Bucket, Tires, Cab & Compartments. Instructional Video: Komatsu WA600-8 Wheel Loader - Cab Controls, Console, Dashboard, Buttons, Lights & Pedals. 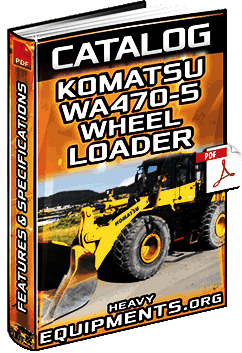 Free Download Catalogue for Komatsu WA470-5 Wheel Loader - Features, Walk-Around, Dimensions & Specs in Full PDF. 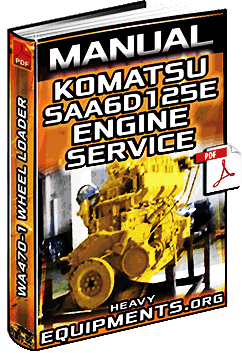 Free Download Manual: Komatsu SAA6D125E Engine for WA470 Loader - Service, Disassembly & Maintenance in Full PDF. Training Video for Komatsu WA380, WA470 & WA500 Wheel Loaders - Pre Operation Inspection for Components. 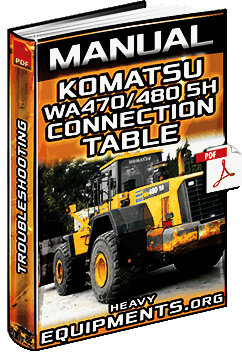 Free Download Manual: Komatsu WA470 & WA480 5H Loaders - Troubleshooting of the Systems & Components in Full PDF.